At one level, the departure of James Boulton, Nationwide’s divisional director of customer strategy and marketing, after little more than 18 months should cause no surprise. Least of all to himself. This will not be a part of his distinguished career on which to reflect with affection and pride. A former marketing director at HSBC and candidate global CMO at BA, Boulton came highly recommended. But the results of his Nationwide tenure have disappointed. Not all of this has been his fault. The Little Britain ad theme (which replaced the long-running, but slick, Mark Benton stuff) looked inspired at the time he, or his then agency Leagas Delaney, came up with it. What better way to boost Nationwide’s image, as our largest and safest mutual society, than link it to the inimitable talents of comedy duo Dave Walliams and Matt Lucas? Except it didn’t work. Little Britain was already passé and the ads, when they arrived, were brash, poorly scripted and confused in their message. Result: widespread disapproval, not least in Nationwide’s corridors of power. Worse was to come. It was not Boulton’s fault that Nationwide was a long-time sponsor of the England squad – supporting it with a sponsorship package worth £20m. What more natural than to associate Vicky Pollard and her comedic chum with Fabio Capello and the boys, in a tactical TV ad just before the big kick-off last year? Another bad result. And not just for the England squad. Nationwide had made a high-profile pitch for a desperate bunch of losers. Up in the boardroom, there was fury. As it happened, chief executive Graham Beale – a man who would personally rate dog-walking over attending a football match any day – had already decided to terminate the 11-year contract when, shortly before the World Cup, the FA demanded more money with menaces. But that was of little consolation to Boulton, who was left with no recourse but to fire his agency and pick another one. Which he duly did in the form of Fallon breakaway 18 Feet & Rising. Too late. Beale, a Nationwide lifer, is not a man to be crossed or thwarted. What’s more, he’s quite touchy about his corporate reputation. He’s already received a few brickbats for unpopular decisions from the savers and mortgage holders to whom he is accountable. This was the man who dropped a key guarantee on mortgage pricing; and also got rid of Nationwide’s policy of not charging customers who use its debit card abroad. Making a patsy out of your already unpopular boss, as a result of a misconceived television campaign, is not best calculated to advance your career prospects. Even if that boss was ultimately responsible for signing off the campaign. So, as I say, no surprise that Boulton should be heading for the exit. But has he been treated entirely fairly? I ask this after surveying the CV of his successor Andy McQueen. McQueen, unlike Boulton, is fully conversant with the minutiae of building society culture. Indeed, for the past 3 years he has been director of Nationwide’s mortgages and general insurance unit; and also did a stint as marketing director of the Portman, before it was absorbed by Nationwide. But I searched in vain for any experience he has acquired running a major retail financial services brand (I don’t think being something or other in the marketing department of Goldman Sachs really counts). As I did for any experience he had in managing a major TV campaign, which will surely be part of his remit. And then there’s the broader context. Beale seems very casual, or careless, with his senior executives. In the past 3 years (he became CEO in April 2007) nearly 20 top people have departed – 3 of them board-level. 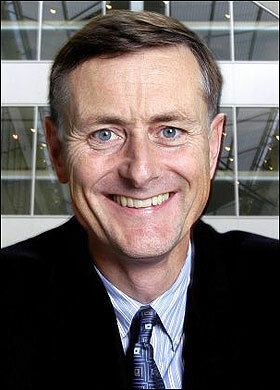 The most well-known in marketing circles was group sales and marketing director John Sutherland. But there have been plenty of others who have mysteriously packed their bags in departments ranging from human resources to public relations. I bet the termination agreements have cost Nationwide customers (ie its shareholders) a pretty penny. The question they should be asking themselves is this: why have so many left? 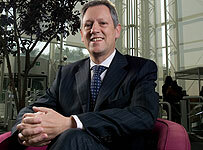 Tesco’s new chief executive Philip Clarke is all too aware that some of the old retail magic has faded. He described the core UK business’ performance, in his first set of financial results, as “below par on any metric”. So what’s he going to do about it? One solution is strategic diversification into areas with better growth and margins. The foray into the second-hand car market, with tescocars.com, is a case in point. Potentially much more significant, however, is the acquisition (for an undisclosed sum) of 80% of Blinkbox. Blinkbox? It’s a UK-based film- and TV programme-streaming website service with a catalogue of about 9,000 films which boasts over 2 million visitors a month. Sort of like iPlayer, but more ecumenical in its approach to content and, by the way, you pay £2.99 per rental item and £6.99 for a download. And the significance of this is? The “assault on the living room” is being touted as the next big thing in retail. In the United States, it already is. Netflix, a DVD and streaming rental business set up in 1997, is now a stock market phenomenon. Last year, its value soared 33% to $12.5bn (£7.65bn). And it’s easy to see why: $161m profits on revenue of $2.2bn, and over 20 million customers who pay a flat monthly fee for the privilege of receiving its video-streamed and DVD catalogue. Symbolic of its waxing market power, Netflix recently moved into the original content market. Spectacularly, it outbid the US TV networks for the right to remake Michael Dobbs’ House of Cards, with Kevin Spacey in the lead role of the Machiavellian FU. But that’s over there. As yet, Netflix has no European presence, which leaves the UK market wide open to exploitation. The nearest thing here is LoveFilm, which was bought out by Amazon at the beginning of this year (valuing it at £200m). It was set up in 2003 with a subscription-based DVD rental-through-the-post service, and diversified into video-streaming last year. It has just concluded its first major content deal, which involves distribution rights to 50 Disney films. The UK may be behind the in-home entertainment curve, compared with the USA, but Tesco’s Clarke has every reason to suppose it will soon catch up. Rapidly expanding broadband width provides the pre-condition. But someone with deep pockets, an unrivalled national customer database and a visceral understanding of distribution will provide the wherewithal. That someone could just be Tesco. Original programme content, however, will have to wait. Bellwether or Omnicom: whose statistics should we believe? Confused about the state of the marcoms economy? You have every right to be, after comparing and contrasting the slews of statistics spewing out of first quarter assessments. Grandaddy of them all the Bellwether IPA/BDO report is all doom and gloom. Apparently, marketing budgets have been revised down for the second successive quarter. The only good news is that the rate of decline has slowed – infinitesimally. The report, which surveys 300 companies selected from the UK’s top 1,000 (it says: by marcoms spend presumably), shows a net downgrade of 5.1% in budget. In Q4 2010, the downgrade was 5.4%. Just to drive another nail into the coffin, it also tells us that the survey’s provisional data for actual spend in 2010 decreased for the third year running. WPP's Sorrell: An answer to the question, maybe? That, as it were, is in my left hand. In my right hand, I am holding a piece of paper with Omnicom’s first quarter results for 2011 printed on it. These invite us to take a very different view of the state of marcoms. Omnicom – the world’s second largest marketing services group – is having a very good year so far; and its performance in the UK has been exceptional. Specifically, the group – which owns such representative agencies as BBDO, DDB, TBWA, OMD and PHD, grew its worldwide revenues by nearly 8% to $3.15bn, with an increase in organic growth of over 5%. The really interesting bit, though, is the fact that organic growth in the UK – not exactly an emerging economy – outstripped that average with a surge of over 9%. Are these two organisations – Bellwether and Omnicom – inhabitants of parallel universes, perchance? We’ll know more when the other big holding companies announce their Q1 figures. Publicis Groupe is next (tomorrow). But the one to really wait for is WPP – the world’s largest. 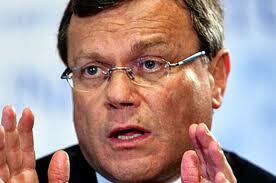 Its chief, Sir Martin Sorrell, has been bearish on the UK economy in recent times. So it will be interesting to see whether he has, in any measure, changed his mind. I wonder what Jeremy Bullmore will say when he steps up to receive his Mackintosh Medal at the Advertising Association President’s dinner on June 15th? My guess is the address will be Gettysberg-like in its brevity and fluency. It will contain a modest disavowal of his personal achievement, followed by a number of wry observations on the industry he has served with distinction since 1954. It would be presumptuous to second-guess what these might be, but one theme which readily presents itself for a bit of gentle ribbing is the medal itself. If there have been 37 awards in total since the scheme was instituted in 1951, why is it that only 8 of them have been bestowed in the last 30 years? It’s possible that there was a restrictive rule change that happened about 1980, of which I am unaware. This was certainly the case with the most distinguished service award of them all, the Victoria Cross. At the time of its inception, during the Crimean War, medals were handed out with a gusto never matched in subsequent generations. For good reason: the Queen’s advisors, worried by incipient medal inflation, decided to make the selection criteria much more rigorous. Let’s hope that’s the case with the Mackintosh Medal as well. Because the alternative is almost unthinkable. Is the advertising industry of the past 30 years only one quarter as talented as the generation which preceded it? Although there have been a number of deserving recent recipients (Archie Pitcher, David Bernstein and Ron Miller among them), a few of us would certainly warm to that suggestion. The industry is simply less entrepreneurial, lively – in a word, fun – than it was 30 years ago. Instead of personalities, we have procurement and other buttoned-down business processes; instead of instinct and intuition, we have the great god ROI. Worryingly, it’s a less attractive place for talented graduates; it’s a less remunerative one, too – compared at least to the siren attractions of management consultancy. Well, yes indeed. Yet I’m not alone in wondering why Bullmore has had to wait until he is 82 to receive this long-merited award. Conceivably, a part of it may be personal reluctance to accept the honour: becoming a formal industry “treasure” can be tiresome and perhaps a little uncomfortable. Bullmore, for all his establishment credentials – creative director and chairman of JWT, co-founder of account planning, chairman of the AA – retains an inscrutable air of ironic detachment. It’s best illustrated by his sense of humour: lapidary in print, lateral and quick-witted in action. There must be plenty who remember his bravura performance as after-dinner speaker at the annual Marketing Society conference bash a while ago, during which – with the aid of a pair of oversized dice, all 12 sides of which bore a single, differentiated word – he graphically illustrated the severe mental limitations of those who aspire to name conferences. However, my favourite Bullmore anecdote dates to a few years beforehand, when he was still chairman of JWT. A speech coach, who was hoping to peddle her wares to the agency, had managed to engineer an interview with him. Finding herself on the wrong side of his famous verbal dexterity, and being an actress by training, she decided to wrongfoot him with the melodramatic ruse of throwing herself to the floor and crawling under his desk while he was still seated there. Without a moment’s hesitation, Bullmore crawled under the desk to join her: “Have you lost something?” he asked. Anyway, back to the point. “Industry sage” is an overworked epiphet, but in Bullmore’s case it’s entirely deserved. If you still don’t believe me have a look at this essay, written as a foreword to a WPP annual report and entitled: “If We Choose to Believe What Emerson Didn’t Say, Then We’re All Doomed.” It’s on the uses and abuses of marketing. They don’t make them like that any more. In an access of self-congratulation, BP’s current press advertising campaign trumpets the oil company’s success quelling one of the world’s worst natural disasters – caused by, er, itself (and, in fairness, a few commercial collaborators such as Transocean and Halliburton). An irony in itself, you might say. But, as will be seen, not the only one. The ads, created by Ogilvy, feature an image of the Macondo oil site in the Gulf of Mexico taken on September 28th last year, showing a crystal-blue ocean lapping around an oil rig. Below it is the strapline: “One year later. Our Commitment continues.” And, just to give the flavour, here is some of the body copy: “From the beginning, BP has taken responsibility for the clean-up. Much progress has been made and our commitment to the Gulf remains unchanged.” The campaign marks the anniversary of a massive explosion on April 20th last year, whose after-effects devastated the wild life, fishing and tourist industry in the Gulf. It should be added that the disaster nearly brought BP, one of the world’s largest companies, to its knees, and cost its chief executive, Tony Hayward, his job. 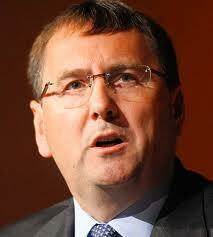 BP, under new management headed by Bob Dudley, is now breathing a huge sigh of corporate relief. Predictions that it would be broken up, that its share price had undergone irreparable damage, that it would be a blighted brand shunned by consumers, or even that it would be excluded from further drilling operations in one of the world’s most prolific oil fields, have all proved wide of the mark. Meanwhile, almost all the beaches are back in business in the Gulf. So a triumph of sorts . But what’s this? Dudley, the squeaky-clean new CEO, is in trouble already. An American with extensive experience of the Russian oil market, Dudley’s big strategic idea is to call in the Old World to redress BP’s damaged balance in the New. Specifically, he has crafted a smart but high-risk deal with Russia’s state-owned oil group Rosneft, which would give BP a free hand in exploiting some of the world’s richest oil reserves, languishing under the Arctic shelf. Rosneft does not have the expertise to do this on its own, and the deal – involving a massive $16bn share-swap between BP and Rosneft – would put BP in the enviable position of being the only oil major able to tap into these reserves, while also lessening the company’s dependence on the USA as an upstream (oil exploration) market. At the time it was announced a few months ago, the Rosneft deal was greeted with much hoopla in the investment community, which had the desired elevating effect on BP’s share price. Now, however, the deal has reached an impasse and Dudley’s reputation is potentially oil-tarred. The politics are complicated but, essentially, BP’s partners in its existing Russian joint-venture, TNK-BP, have – apparently unexpectedly but so far successfully – injuncted the deal. Time is running out: the deadline is April 15th. Either the deal fails, in which case BP will receive another massive blow-back to its reputation. Or BP comes up with a huge bung (said to be $2bn) so that the green-mailers go away. Option B is of course preferable, but still leaves Dudley, BP, his chums at Rosneft and in the Kremlin looking like a bunch of chumps who have been outwitted by a few greedy oligarchs. Either way, a bit of tactical diversion aimed at BP’s investment community – which is still largely London-based – seems highly desirable while things are sorted out. And what better manner of doing it than to remind investors, via the Sunday press, the dailies, The Spectator, New Scientist and the Economist, of BP’s earlier triumph? Or rather, triumph over a self-manufactured disaster. You are currently browsing the Stuart Smith's Blog blog archives for April, 2011.